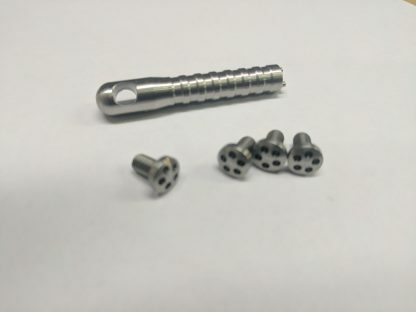 100% American made, 1911 grip screws. Each set comes with a tool and everything is made from stainless on a swiss lathe. Upgrade your 1911 with a set!